The 1990s were simpler times for video games: there weren't fancy graphics, intricate story-lines, or those mind-numbing videos that you weren't allowed to skip. The local arcade was the ultimate destination for birthday parties, Bar Mitzvahs, Bat Mitzvahs, or lazy saturday afternoons. They were loud, exciting, smelly, and packed with the finest assortment of games (and cold pretzels) managed by the nerdiest of gentlemen. Each and every arcade game—whether it was Nintendo or Sega—was similar in its simplicity, but a total blast. A game where you could actually beat the sh*t out of Mike Tyson? Why the hell not. So, here are 10 arcade games that you definitely played in the '90s, regardless of your age—though, if you were the type of dude who hung out at arcades at age 30, that creepiness cannot be outgrown. Before you could play this acclaimed Midway Games masterpiece at home, you had the arcade game. There were only seven players you could play as: Liu Kang, Johnny Cage, Sonya Blade, Sub-Zero, Scorpion, Kano, and Raiden—but you could unlock Reptile...which was exciting until you realized it was just Sub-Zero in a green outfit. In a bizarre twist of metaphysical behavior, Mike Tyson has actually played and lost to himself at this game. We fondly remember the boxing glove-shaped controllers that you'd mercilessly jab your opponents with, accruing a brow full of sweat in the process. And the bonus of a referee who looked suspiciously like Mario. 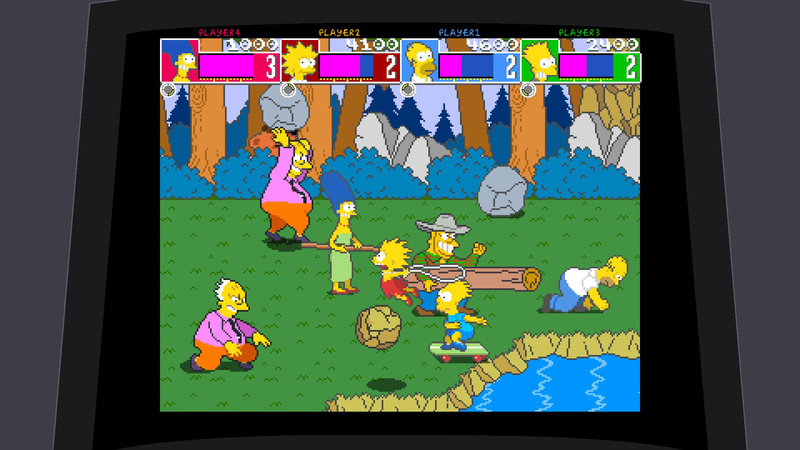 Looking back, there were several bizarre plot holes in the Simpsons game. For instance, why did Marge miraculously have bunny ears underneath her hair and fight with a vacuum cleaner? And why would Waylon Smithers want to rob a jewelry store? Regardless, this was a staple in skating rinks, bowling alleys, and Chuck E. Cheeses everywhere. Before the WWF became the Earth-saving, shark-peddling World Wildlife Foundation, it was the World Wrestling Federation and their games were all about killing God's creatures as opposed to saving them. 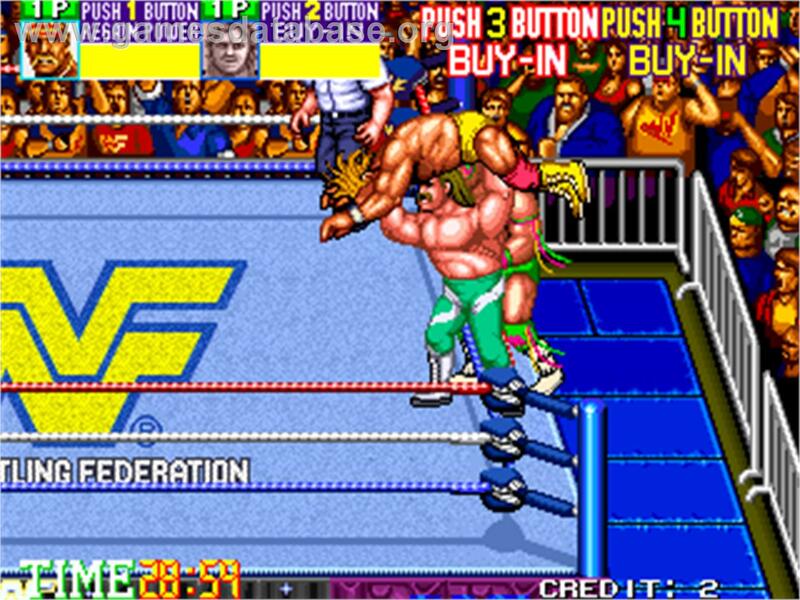 The nostalgia with this thing was off the charts; you could play as Razor Ramon, Bam Bam Bigelow, Doink The Clown, The Undertaker, and Lex Luger. Supposedly you could unlock Adam Bomb as a hidden character...though the developers never finished, well, developing him. The first 1987 Street Fighter game didn't get nearly as much attention as its sequel, but the success of the franchise will always be praised as it led to what is inarguably Jean-Claude Van Damme's finest role in the 1994 film: Street Fighter. Plus, there's Guile's theme song, which can be applied to any and every situation. The obvious draw to this rail shooter arcade game was the JP Jeep you'd get to cruise around in while you annihilated velociraptors. This was Sega's second time using their "Magical Bench Seat Air Drive System,"—their words, not ours—and made the game a hell of a lot more real...which was not a lot to ask for back in the era of 16-bits. For one thing, you're definitely lying if you said you didn't think it was called "Virtual" Fighter. Aside from the general name confusion, we remember this 1993 Sega game because of the oddly-shaped hexagonal fists and the three easy actions of: punch, kick, and guard. That's all you really need in a hexagonal fist-fight, right? Time Crisis was the first lesson 10-year-olds received in the vital life skill of time management, as you only had minutes to shoot opposing forces and save the President's daughter once you stepped on the large metal step. Two-player mode was always a pain because your partner would inevitably run out of time and leave you high and dry. Released by the legendary Konami Digital Entertainment in 1989—during the humble beginnings of the turtle-fever—you could play as all four turtles while saving April O'Neil and Splinter from that total d*ck, Shredder. This game was extra rad, because it featured a four-player option, so every one of your buds could pick a turtle...not that there was too much of a difference. Believe it or not, this was one of the highest-grossing video games of all time. Though it gets less and less surprising when you think about how awesome the rush of shoving a couple quarters into this thing and driving a friggin' car as fast as it could go was. 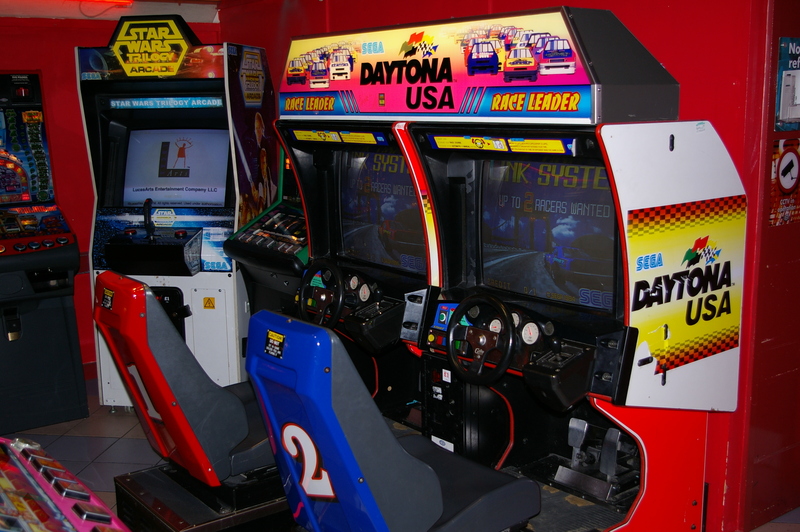 Every movie theater on Earth had a Daytona USA set up and, for the most part, it was always more entertaining than the movie. Jeremy Glass is the Vice editor for Supercompressor and his most surreal moment was talking to Mike Tyson about his video game.